Walking shoes and cross training shoes are great for athletes looking to have a pair of shoes that they can use every day that are great for casual use but can also be used for more laborious activities as well. The list below we will cover the best walking shoes for men and I will mention if I think they make good cross training shoes. On this list of best walking shoes for men, we will start with this shoe. The gel venture is a solidly built shoe that provides excellent support across the entire shoe. The issue with the majority of Asics shoes is the fact that they are made a bit narrower than other shoes. The gel midsole covers the entire foot and provides the excellent cushion as you walk from heel to toe every single step. It is also a great cross-training shoe. Sketchers has come a long way with their walking shoes. They are made up of some of the most comfortable material on the marker. The slip-on design can be off-putting for many users as it is not going to be as secure as other laced shoes. People who go for longer walks will benefit from a shoe that can be secured tighter to your feet. This shoe would not fit into the cross training shoes. category It is however great for those that are working long hours on their feet all day. They are one of the best walking shoes for men. These shoes are great for those who like to walk long distances. Sure they aren’t the nicest looking shoes on the planet but they are effective, and they have been made by Nike for decades now. They provide a solid leather upper with a comfortable midsole. They’re not the most breathable shoes on this list and they will cause some foot perspiration and could become uncomfortable on hotter days. They are on this list for best walking shoes for men because they are a good walking shoe. I would not recommend using them as cross training shoes, however. I am a big fan of New Balance as a whole when it comes to their shoe selection. I am a fan of these shoes as well. They have a great midsole that provides significant levels of comfort as you walk and it supports your arch well. However, many people believe that the design of these shoes simulate what an orthopedic shoe looks like. Many people also are not a fan of the arch support provided by these shoes. For me, they offer a good combination of support, comfort, and stability. I will say though that these shoes may not suit everyones feet. When it comes to the best walking shoes for men, these are great, and they could even possibly be used as cross training shoes. Probably my least favorite shoe on this list of best walking shoes for men. It is comfortable for casual wear, but I would not go out for a long walk with these shoes. They are narrow, the midsole won’t be able to withstand the long trek, and it just will not stand up tot he test of athletic walking use. I would recommend this shoe for someone who is a mild walker maybe, but with all the other shoes on this list, you should be looking at something my substantial. I would not use these as cross training shoes. These shoes are great. They are simple, and they provide a good mixture of support, stability, design, and functionality. They have a patented foam midsole that is comfortable enough for walking long distances. They’re made from fabric/leather upper that provides some breathability, not the best on this list, but it is decent enough. They are priced well, and they are sized slightly smaller than true. I would recommend that these shoes be used as cross training shoes. They are also on this list of best walking shoes for men for a reason. Many users of this shoe can not talk enough about the patented ultra boost foam technology. They believe it to be some of the most comfortable shoes on the market today. I would have to agree with them. They are incredibly comfortable from heel to toe. They provide excellent support and breathability. The issue with these shoes is they unbelievable price tag. They are by far the most expensive shoe on this list. 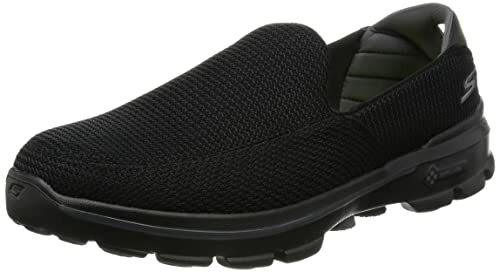 It is one of the best walking shoes for men, and 100% should be used as cross training shoes. Kho Health is the best place to start your search for a health care provider that can also help you find the best walking shoes for men and cross-training shoes. Kho Health lets you search for providers by type and skill. You can look for a Physical Therapist that also knows acupuncture and find the best local options. It does not matter if you need a physical therapist, chiropractor, acupuncturists, sports doctor, registered dietitian, massage therapist or any other form of holistic medicine. Kho will help you to find and sort through their skills.